I am really glad to find your site, it so helpful to me, thank u! Loved the photo's, I was on 54 from late 69 to about 73 when at Diggers. Recognised Brian Philips but nobody else unfortunately. 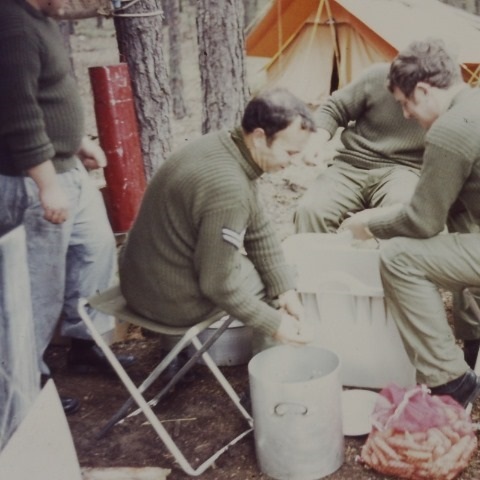 Said Brian peeling spuds "somewhere in Germany".